Whether it's a finished basement complete with skirting and finished floor or a cavity drain basement tanking system, we have the skill, expertise and talent to exceed your personal expectations. at YDC Basements we specialise in basement conversions and basement tanking in Leeds. Our basements are all about flexibility, innovation and, above all, results. Our team of experienced builders and dynamic designers will focus on your precise wishes to deliver cost-effective solutions for any project. At YDC we guarantee to beat any genuine quote! Our innovative projects are forever keeping the competition on their toes. We specialise in Basement conversions in Leeds and surrounding areas. We fully tank old concrete steps or remove them completely, do your previous quotes? 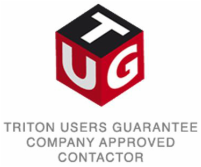 We are a Triton Approved Contractor, PCA Members for added security on all our basement conversions. We can provide a 10 year 3rd party insurance backed guarantee on all our basement conversions in Leeds. We understand your need to be protected if the worst should happen and your system fails. It’s too easy for a firm to just stop trading and all its guarantees are void and you the customer are stuck with an expensive damp wet basemen back at step one. With the protection of the 3rd party guarantee even if we stop trading you are still protected with our TUG insurance. For added protection we have £5,000,000.00 public liability insurance. with a trading history since 1991 you know were here for the foresee able future. Quality Basement Conversions in Leeds - Why pay more than you need too? Call us on 07857427367 for a FREE quotation.